The goal of the 19,878-mile trip - scheduled to begin July 4 from Buffalo Niagara International Airport - is to purchase an MRI machine for the hospital. Bansal decided to try to help the hospital following the death of his sister-in-law there from breast cancer shortly after she was diagnosed in 2005. "I love everything about flying. It's extremely thrilling and very challenging. And I like challenges - and this is a big challenge," said Bansal. "You have a single-engine plane flying 800 miles over cold water. The slightest of problems can become huge issues. You can't glide some place and land. There are huge dangers involved," he said. "It took a lot of preparation." Bansal, who has lived in the Buffalo area for the past 40 years, says he will be the first native of India to fly solo around the world. Bansal, 68, has a proven track record of achieving his goals. He received his doctorate in mechanical engineering at the Georgia Institute of Technology and was recruited by Linde, which became Praxair, coming to Buffalo literally one day after the Blizzard of '77 hit, he said. "I met my wife (of 38 years, Pratibha, a medical doctor in palliative care) here. I started my business here," said Bansal. "Buffalo has been the best thing that happened to me." He was the owner of AirSep, a multimillion-dollar medical oxygen therapy equipment company which he built from three employees to over 600. He sold it for more than $170 million three years ago, Bansal said. He said he is spending $100,000 of his own money on the trip around the world so that all of the money he raises will benefit the hospital in Ambala. Bansal said he will fly a single-engine Cessna 400, which cost half a million dollars. He said he has owned the plane for the past 11 years and has been a pilot for the past 40 years. He said he plans to leave on July 4, if the weather is good, but the date of departure has nothing to do with the holiday and everything to do with his destination. Bansal said the airport in Greenland where he is plans to make his fourth stop is only open on weekdays. If he lands there on a weekend he will have to pay a $1,000 handling fee. Bansal has already started a blog about his adventure. He will be blogging throughout the trip on Raviworldflight.com. 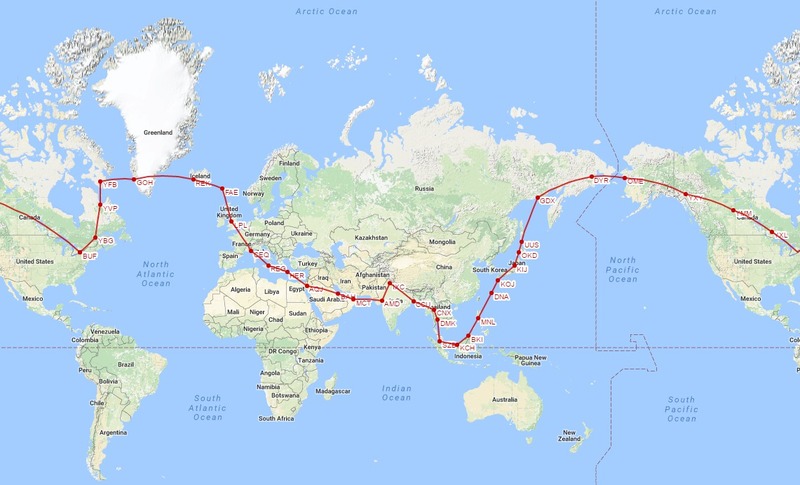 He estimates the trip will take six weeks, but weather and other factors could stretch the trip to as long as three months, especially with hurricane season, he said. A satellite tracking device in his plane will allow the website to follow his flight path, live on a map, to 18 countries and 34 airports. He has never flown his own plane to India, but as part of this trip he will be landing at an airport, about 30 miles away from Ambala. He said his hometown and the hospital are unaware of his mission. "I need to establish credibility that I can do it. If I talk too much then people think that I am just bragging," said Bansal. "By the time I get to India I will have crossed several countries. I'm not Amelia Earhart or anything. I have to keep it as low profile as I can." 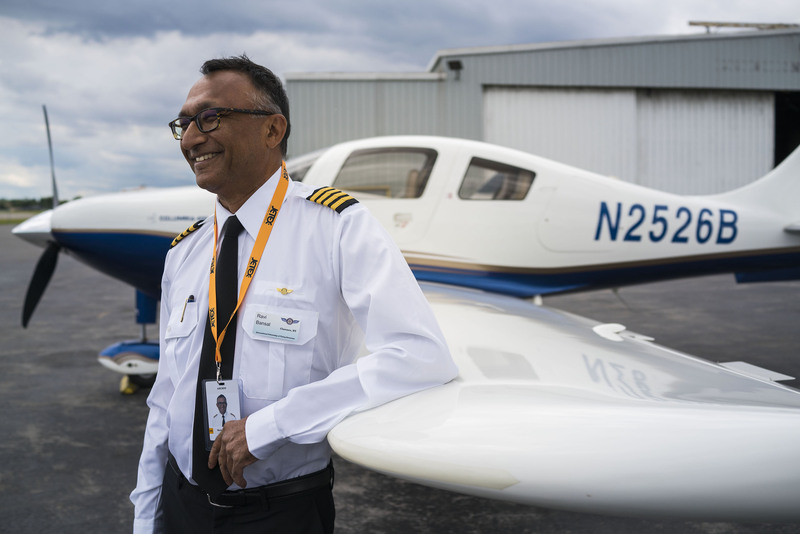 Bansal and his logistics team spent six months of research on where to land for refueling his Cessna, the range of the plane, customs, permits, and insurance. He recently had to take a water survival course in the event of a water landing, which was a requirement for his insurance. "I'm not a swimmer. I don't like water, but that is a legal requirement," said Bansal of his preparations. But his reason to undertake the charity flight is also very personal and what drove him to go forward on his mission. He said his older brother Subhash stayed in India and his brother's wife, Sneh, died from breast cancer shortly after being diagnosed in 2005. "There was not diagnostics available in that town. By the time they found it she had second-stage cancer. There was also no treatment in that town and they had to take her every week or every few days to a town 40 miles away. Forty miles in America is nothing...but in India not having cars, that is a three- or four-hour trip one way," said Bansal. Subhash was the president of his local Rotary Club and with the help of the International Rotary Club, and a Rotarian in India who donated $3 million of his own money, the city of Ambala was able to establish a 100-bed hospital in what is still a very poor town, said Bansal. He said in the past four months, with the help of a matching grant from the Rotary Club of Chicago and the Rotary Club of Buffalo, the hospital was also able to get a CT scanner. He said he is hoping there are thousands who will give small amounts to help the hospital and he has also been reaching out nationally to fellow Rotarians.